17th september 2011 -- 6.10 am (EST)LAST MINUTE SUGGESTIONS; Confine yourself within the word limit prescribed for essay writing and letter writing. If number of words is not prescribed for letter writing--then see that you write within the space allotted. Precis - read well with concentration only once , write a draft and fair also. Attempt all the questions given in descriptive paper. For Objective: Attempt only if you are 60% confident about the answer. Negative marking is there.Take your hall ticket, photo, fee receipt, two ball pens (blue), two HB pencils, two erasers and two sharpeners. You have my blessings and good wishes. After the exam please send descriptive questions, general awareness questions, computer awareness questions to samba.ssivan@gmail.com. POSTED ON SEPTEMBER 1, 2011. MANY DESCRIPTIVE PORTIONS HAVE BEEN POSTED. PLEASE SEE THE DESCRIPTIVE PAPER MODEL 1 AND 2 POSTED IN SEPTEMBER 2011. • Foreign Direct Investment in India stood at just $ 15.97 billion during the Jan – Sep 2010, down 26% vis-a-vis the same period last year. • Somdev kishore Devaraman became the First Indian ever to win a Tennis Singles Mold Medal in Asian Games History. • Mobile Number Portability (Which allows subscribers to retain their existing mobile telephone numbers when they switch from the one operator to another), started in Haryana from Nov, 25, 2010. • Gazette notification issued by the Government giving voting rights to Non – Resident Indians (NRIs) in the elections. The person will be able to exercise the franchise only if he or she is present in the constituency on the polling day. • The Haryana Govt. has imposed a total ban on manufacture, distribution, stocking, selling or using carry bags made of plastic in the state. • As per study conducted by Harward School of bublic Health (HSPH), the Average Body Mass Index (BMI) of an Indian Woman is 21 and only 15% aged between 15-49-are overweight. • According to the results of the Search Machine, called True Knowledge. “April, 11, 1954 was the Most Uneventful and Boring Day of the 20th Century”. • General Motors Co’s Initial Public Offering (IPO) became the World’s Biggest at $ 23.1 billion. • China has introduced its First Ever Electronic Passport that contains micro chipped information. • ONGC has been conferred the “International Partner of the year” Award for 2010 in recognition of its achievements through Methane to Market (M2M) programme and mitigation of fugitive emission. • Relience Industries, named among the World’s Top 20 chemical Companies in a Global Ranking. • Kaziranga (West Bengal) has Highest Tiger Density in the World. As per estimates arrived at by the camera – trapping method, there are 32.64 tigers per 100sq KM at Kaziranga. • IPS officer Amar Pratap Singh took over as the new CBI Director. • A dozen serving women officers have been granted permanent commission in the army for the first time. Till now, only women officers from the non medical streams were allowed to serve for a maxim of 14 years. • A new law on recovery of illicit assets of politically Exposed people (PEP) – Heads of State and Public officials, will come into force from February 1, 2011. • NTPC received the “PSU Excellence Award 2010” in the Best Financial Performance category from the union Minister of Heavy Industries and Public Enterprises. • Brazil’s Central Bank raised reserve requirements on bank deposit, to reduce liquidity in the financial system to slow Latin America’s largest economy where consumer prices have been rising. • Tripura’s capital Agartala was given the “Best City Award” among Small States in India for providing homes to the urban poor, by the Union Finance Minister. • The Gross NPAs of public Sector Banks have increased by 30.1% to Rs.57,301 cr in 2009-10 from Rs.44,093 cr in 2008-09. • Pantaloons Femina Miss India Earth 2010 Nicole Farie of Bangalore was crowned “Miss Earth” at a ceremony in Vietnam. • According to the World Bank’s Migration and Remittances Fact – book 2011, India continued to be the Largest recipient of Remittances in 2010. • According to industry data and the govt., the Philippines has become the call Centre Capital of the World, overtaking India in the Global Business Outsourcing Market. • ADB sanctioned Rs.422 Crore to Himachal Pradesh Government for development of tourism infrastructure. • SEBI has taken the step towards evaluating the feasibility of using the Unique Identification (UID) number for all security market transactions. • As per the Opinion Research Consultancy Globascan, for BBC World Service, Corruption / Greed was considered the Most Serious Problem facing the World in 21 out of 27 countries surveyed. • IDBI Bank has secured a $100 million ECA (Export Credit Agency) line of Credit from Germany’s DZ Bank, to fund project imports from 24 Western European nations. • The world Governments have approved a modest ___ to combat climate change, including a new “Green Climate Fund” to help poor nations. • ICICI Bank is to raise $545 million through US Commercial Paper, which will have a maximum tenor of 360 days. The funds shall be utilized for general corporate purposes. • 6 Insurance Companies were fined to the tune of Rs.50 lakh by IRDA during 2009-10 for various violations. • IRDA plans to set up an Investors’ Protection Fund which will work towards protecting the interest of policy holders. • 8 Years after it hosted Ad Asia in Jaipur, India will host Asia’s Premier Advertising Event from October 31 to November 3,2011 in Delhi. • 8 Life Insurance companies out of 23 in operation have reported profits in 2009 -10. The cumulative loss of the life Insurance Industry as on March 31,2010 stood at Rs.20,143. Crore as against Rs.17,304 Crore in the year – ago period. • Indian and Chinese Companies signed 48 deals with over $16 billion in diverse sectors, including power, on the first day of the 3 day visit of the Chinese Premier, Mr,Wen Jiabao. • Moody’s outlook for India’s banking system continues to be “stable” but the investment consultancy sees an “an increased risk of probable asset bubbles forming and posing a medium – to – longer term challenge for the banking system. • India and China agreed to raise bilateral trade to $100 billion by 2015, step up investment and permit banks of other countries to open branches and representative offices. • Power plant Equipment Manufacturer BHEL has received the SCOPE Award for Excellence and Outstanding Contribution to Public Sector management. • Britain is the only country in western Europe with rising rates of tuberculosis and in London cases of the diseases have grown by nearly 505 since 1999. • Welsh Granny, a Great Grandmother of Britain has become the world’s Oldest Facebook user at the age of the 103, and she updates her status using an iPad. • ONGC has emerged as the Top Advance Tax Payer for the current fiscal, dislodging the country’s Largest Commercial Bank, SBI. • Indian Railways migrated to a 5-digit number scheme to monitor movement of passenger trains. All trains would be identifiable by a five – digit code, which would be available on the National Enquiry 139. • Multi Commodity exchange (MCX) will develop commodity derivative markets along with Taiwan’s Futures Exchange (TAIFEX) in both the countries through sharing of information, technology and other areas of mutual interest. • As per Assocham, Karnataka emerged as the Most Preferred Investment destination of India INC.
• SEBI has made it clear that “Dark Pools” Can not be permitted in India as there was no transparency in such activities. • Sachin Tendulkar struck his historic 50th test century and become the first Batsman to score these many centuries in the 133 year history of test cricket. • Abbey Road zebra crossing in North London, has been listed as a Heritage Site. • India proved to be London’s Biggest Foreign Issuer both on the main market and its small exchange. • Mr.Ramu S.Deoria selected as President of the Federation of Indian Export Organisations (FIEO) Appex Body of Exporters. • South Africa has been formally asked to join the BRIC Group of emerging markets comprising Brazil, Russia, India and China, bolstering its position as Africa’s Champion. South Africa is a powerful country, through it is small compared with the other BRIC nations. • National Spot Exchange Ltd. which provided an electronic platform for spot trading in agriculture and non – agriculture commodities, is planning to introduce trading in 17 new commodities. • Karur Vyasa Bank adjudged the “Best Small Bank” of the year in survey conducted by business World, in association with price – water – house Coopers. The increased facilitation by banks and prepaid payment instrument issuers of the use of electronic modes by customers for payments to merchants involves the use of intermediaries like aggregators and payment gateway service providers. The e-com-merce and m-commerce service providers act as intermediaries by providing platforms for facilitating such payments. In many existing arrangements involving such intermediaries, the payments made by customers (for settlement of e-commerce/m-commerce/bill payment transactions), are credited to the accounts of these intermediaries, before the funds are transferred to the accounts of the merchants in final settlement of the obligations of the paying customers. Any delay in the transfer of the funds by the intermediaries to the merchants account will not only entail risks to the customers and the merchants but also impact the payment system. With a view to safeguard the interests of the customers and to ensure that the payments made by them are duly accounted for by the intermediaries receiving such payments and remitted to the accounts of the merchants who have supplied the goods and services without undue delay, RBI issued following directions u/s 18 of the payment and Settlement Systems Act, 2007. 1. All accounts opened and maintained by banks for facilitating collection of payments by intermediaries from customers of merchants, shall be treated as internal accounts of the banks. While it is left to the banks to decide on the exact nomenclature of such accounts, it shall be ensured that such accounts are not maintained or operated by the intermediaries. 2. Banks shall ensure that the process of converting all the existing accounts maintained and operated by intermediaries for the purpose covered in these directions, shall be completed within 3 months of issuance of these directions. a. Payments from various persons towards purchase of goods / services. b. Transfers from other banks as per pre – determined agreement into the account, if this account is the nodal bank account for the intermediary. c. Transfers representing refunds for failed / disputed transactions. a. Payments to various merchants / service providers. b. Transfers to other banks as per pre–determined agreement into the account, if that account is the nodal bank account for the intermediary. d. Commissions to the intermediaries. These mounts shall be at pre – determined rates /frequency. Note : No payment other than the commissions at the pre – deter – mined rates / frequency shall be payable to the intermediaries. Such transfers shall only be effected to a bank account intimated to the bank by the intermediary during the agreement. i. All payments to merchants which do not involve transfer of funds to nodal banks shall be effected within a maximum of T+2 settlement cycle (where T is defined as the day of intimation regarding the completion of transaction. 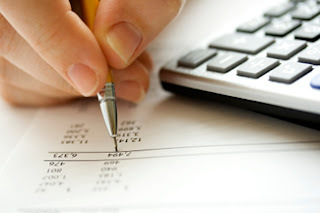 Treatment of balances by banks: As the funds held in the accounts would be in the nature of outside liability of the bank, the balance in these accounts shall be reckoned as such for the purpose of computation of NDTL of the bank. Concurrent Audit : Banks shall subject these accounts to concurrent audit and a certificate to the effect that these accounts are operated in accordance with these directions shall be submitted to RBI , on a quarterly basis. Definitions for the purpose of the directions Intermediaries : Intermediaries would include all entities that collect monies received from customers for payment to merchants using any electronic/online payment mode, for goods and services availed by them and subsequently facilitate the transfer of these monies to the merchants in final settlement of the obligations of the paying customers. All intermediaries who facilitate delivery of goods / services immediately / simultaneously (e.g. Travel tickets / movie tickets etc) on the completion of payment by the customer shall not fall within the definition of the expression “intermediaries”. These transactions which are akin to a Delivery versus Payments (DvP) arrangement will continue to be facilitated as per the contracts between the merchants and the intermediaries as hitherto and banks shall satisfy themselves that such intermediaries do not fall within the definition of the “intermediaries’ when they open accounts other than internal accounts. Merchants : Merchants shall include all e – com – merce / m – commerce service providers and other persons (including but not limited to utility service providers) who accept payments for goods and service provided by them, through Electronic / Online Payment modes. (i) The composition of Board of Directors comprising members with demonstrable professional and other experience in specific sectors like agriculture, rural economy, co-operation, SSI, law, etc., approval of Reserve Bank of India for appointment of CEO as well as terms and conditions thereof, and powers for removal of managerial personnel, CEO and directors, etc. in the interest of depositors are governed by various sections of the B.R. Act, 1949. (ii) Guidelines on corporate governance covering criteria for appointment of directors, role and responsibilities of directors and the Board, signing of declaration and undertaking by directors, etc., were issued by RBI on June 20, 2002 and June 25, 2004, based on the recommendations of Ganguly Committee and a review by the BFS. (iii) Guidelines for acknowledgement of transfer/allotment of shares in private sector banks were issued in the interest of transparency by RBI on February 3, 2004. (iv) Foreign investment in the banking sector is governed by Press Note dated March 5, 2004 issued by the Government of India, Ministry of Commerce and Industries. (v) The earlier practice of RBI nominating directors on the Boards of all private sector banks has yielded place to such nomination in select private sector banks. 2. Against this background, it is considered necessary to lay down a comprehensive framework of policy in a transparent manner relating to ownership and governance in the Indian private sector banks as described below. (i) The ultimate ownership and control of private sector banks is well diversified. While diversified ownership minimises the risk of misuse or imprudent use of leveraged funds, it is no substitute for effective regulation. Further, the fit and proper criteria, on a continuing basis, has to be the over-riding consideration in the path of ensuring adequate investments, appropriate restructuring and consolidation in the banking sector. The pursuit of the goal of diversified ownership will take account of these basic objectives, in a systematic manner and the process will be spread over time as appropriate. (ii) Important Shareholders (i.e., shareholding of 5 per cent and above) are ‘fit and proper’, as laid down in the guidelines dated February 3, 2004 on acknowledgement for allotment and transfer of shares. (iii) The directors and the CEO who manage the affairs of the bank are ‘fit and proper’ as indicated in circular dated June 25, 2004 and observe sound corporate governance principles. (iv) Private sector banks have minimum capital/net worth for optimal operations and systemic stability. (v) The policy and the processes are transparent and fair. The capital requirement of existing private sector banks should be on par with the entry capital requirement for new private sector banks prescribed in RBI guidelines of January 3, 2001, which is initially Rs.200 crore, with a commitment to increase to Rs.300 crore within three years. In order to meet with this requirement, all banks in private sector should have a net worth of Rs.300 crore at all times. The banks which are yet to achieve the required level of net worth will have to submit a time-bound programme for capital augmentation to RBI. Where the net worth declines to a level below Rs.300 crore, it should be restored to Rs. 300 crore within a reasonable time. (i) The RBI guidelines on acknowledgement for acquisition or transfer of shares issued on February 3, 2004 will be applicable for any acquisition of shares of 5 per cent and above of the paid up capital of the private sector bank. (ii) In the interest of diversified ownership of banks, the objective will be to ensure that no single entity or group of related entities has shareholding or control, directly or indirectly, in any bank in excess of 10 per cent of the paid up capital of the private sector bank. Any higher level of acquisition will be with the prior approval of RBI and in accordance with the guidelines of February 3, 2004 for grant of acknowledgement for acquisition of shares. (iii) Where ownership is that of a corporate entity, the objective will be to ensure that no single individual/entity has ownership and control in excess of 10 per cent of that entity. Where the ownership is that of a financial entity the objective will be to ensure that it is a well established regulated entity, widely held, publicly listed and enjoys good standing in the financial community. (iv) Banks (including foreign banks having branch presence in India)/FIs should not acquire any fresh stake in a bank’s equity shares, if by such acquisition, the investing bank’s/FI’s holding exceeds 5 per cent of the investee bank’s equity capital as indicated in RBI circular dated July 6, 2004. (v) As per existing policy, large industrial houses will be allowed to acquire, by way of strategic investment, shares not exceeding 10 per cent of the paid up capital of the bank subject to RBI’s prior approval. Furthermore, such a limitation will also be considered if appropriate, in regard to important shareholders with other commercial affiliations. (vi) In case of restructuring of problem/weak banks or in the interest of consolidation in the banking sector, RBI may permit a higher level of shareholding, including by a bank. (i) The recommendations of the Ganguly Committee on corporate governance in banks have highlighted the role envisaged for the Board of Directors. The Board of Directors should ensure that the responsibilities of directors are well defined and the banks should arrange need-based training for the directors in this regard. While the respective entities should perform the roles envisaged for them, private sector banks will be required to ensure that the directors on their Boards representing specific sectors as provided under the B.R. Act, are indeed representatives of those sectors in a demonstrable fashion, they fulfil the criteria under corporate governance norms provided by the Ganguly Committee and they also fulfil the criteria applicable for determining ‘fit and proper’ status of Important Shareholders (i.e., shareholding of 5 per cent and above) as laid down in RBI Circular dated June 25, 2004. (ii) As a matter of desirable practice, not more than one member of a family or a close relative (as defined under Section 6 of the Companies Act, 1956) or an associate (partner, employee, director, etc.) should be on the Board of a bank. (iv) Being a Director, the CEO should satisfy the requirements of the ‘fit and proper’ criteria applicable for directors. In addition, RBI may apply any additional requirements for the Chairman and CEO. The banks will be required to provide all information that may be required while making an application to RBI for approval of appointment of Chairman/CEO. In terms of the Government of India press note of March 5, 2004, the aggregate foreign investment in private banks from all sources (FDI, FII, NRI) cannot exceed 74 per cent. At all times, at least 26 per cent of the paid up capital of the private sector banks will have to be held by resident Indians. (i) The policy already articulated in the February 3, 2004 guidelines for determining ‘fit and proper’ status of shareholding of 5 per cent and above will be equally applicable for FDI. Hence any FDI in private banks where shareholding reaches and exceeds 5 per cent either individually or as a group will have to comply with the criteria indicated in the aforesaid guidelines and get RBI acknowledgement for transfer of shares. (ii) To enable assessment of ‘fit and proper’ the information on ownership/beneficial ownership as well as other relevant aspects will be extensive. (i) Currently there is a limit of 10 per cent for individual FII investment with the aggregate limit for all FIIs restricted to 24 per cent which can be raised to 49 per cent with the approval of Board/General Body. This dispensation will continue. (ii) The present policy requires RBI’s acknowledgement for acquisition/transfer of shares of 5 per cent and more of a private sector bank by FIIs based upon the policy guidelines on acknowledgement of acquisition/transfer of shares issued on February 3, 2004. For this purpose RBI may seek certification from the concerned FII of all beneficial interest. Currently there is a limit of 5 per cent for individual NRI portfolio investment with the aggregate limit for all NRIs restricted to 10 per cent which can be raised to 24 per cent with the approval of Board/General Body. Further, the policy guidelines of February 3, 2004 on acknowledgement for acquisition/transfer will be applied. The process of due diligence in all cases of shareholders and directors as above, will involve reference to the relevant regulator, revenue authorities, investigation agencies and independent credit reference agencies as considered appropriate. (i) The current minimum capital requirements for entry of new banks is Rs.200 crore to be increased to Rs.300 crore within three years of commencement of business. A few private sector banks which have been in existence before these capital requirements were prescribed have less than Rs.200 crore net worth. In the interest of having sufficient minimum size for financial stability, all the existing private banks should also be able to fulfil the minimum net worth requirement of Rs.300 crore required for a new entry. Hence any bank with net worth below this level will be required to submit a time bound programme for capital augmentation to RBI for approval. (ii) Where any existing shareholding of any individual entity/group of entities is 5 per cent and above, due diligence outlined in the February 3, 2004 guidelines will be undertaken to ensure fulfilment of ‘fit and proper’ criteria. (iii) Where any existing shareholding by any individual entity/group of related entities is in excess of 10 per cent, the bank will be required to indicate a time table for reduction of holding to the permissible level. While considering such cases, RBI will also take into account the terms and conditions of the banking licences. (iv) Any bank having shareholding in excess of 5 per cent in any other bank in India will be required to indicate a time bound plan for reduction in such investments to the permissible limit. The parent of any foreign bank having presence in India, having shareholding directly or indirectly through any other entity in the banking group in excess of 5 per cent in any other bank in India will be similarly required to indicate a time bound plan for reduction of such holding to 5 per cent. (v) Banks will be required to undertake due diligence before appointment of directors and Chairman/CEO on the basis of criteria that will be separately indicated and provide all the necessary certifications/information to RBI. (vi) Banks having more than one member of a family, or close relatives or associates on the Board will be required to ensure compliance with these requirements at the time of considering any induction or renewal of terms of such directors. (vii) Action plans submitted by private sector banks outlining the milestones for compliance with the various requirements for ownership and governance will be examined by RBI for consideration and approval. (i) Where RBI acknowledgement has already been obtained for transfer of shares of 5 per cent and above, it will be the bank’s responsibility to ensure continuing compliance of the ‘fit and proper’ criteria and provide an annual certificate to the RBI of having undertaken such continuing due diligence. (ii) Similar continuing due diligence on compliance with the ‘fit and proper’ criteria for directors/CEO of the bank will have to be undertaken by the bank and certified to RBI annually. 11. On the basis of such continuous monitoring, RBI will consider appropriate measures to enforce compliance. Quite informative. Request some more updates. Arti A. I have posted a lot of blogs in this. I have posted 8 general awareness paper, 5 economics paper, other descriptive materials. please browse all the blogs. 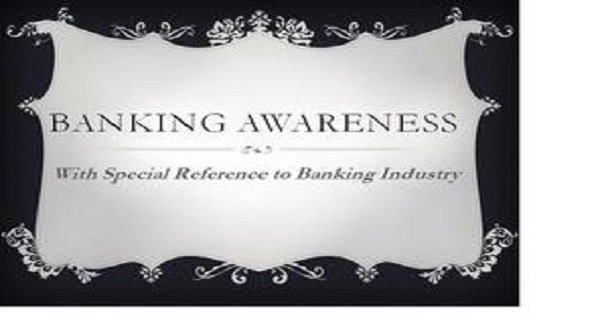 Besides now and then new points ae posted under tag "Banking related general awareness". So if your search under this you will get many points. Great post. You have done a very good job. Thank you for providing this valuable information. Informative post. it's very helpful for the people. thank you for sharing this valuable information.